Madrasi is your city guide to Chennai India. From automobiles to education, from latest cars to travel, you will find it here. Look up the Chennai city portal with a difference! Make your money work for you. Learn about popular investment options, hedge funds and other financial matters at Madrasi.info. Two fast growing emerging markets, India and China are keenly observed for new investment propositions, particularly investment in hedge funds. Presence of systematic institutional framework for hedging, regulatory factors, a well-developed capital economy, liberalized stable economy, rapid reforms, democratic set-up, good information disclosure standards, better return on capital have rather favored India score over China as a superior place for investment in hedge funds. Investment in hedge funds is a cynosure of interest for sophisticated investors, wealthy individuals or families and big institutions. They are class of investors who believe in the finance mantra - higher risk, higher opportunity investments and higher rewards. Yes, investment in India focused hedge funds - for those with an appetite for risks, most willing to take risks in anticipation of explosive reward. Investment in hedge funds in India has been gaining momentum post 2001-2002. To invest in hedge funds in India, you need to first understand what they are and how it works. Investment fund: Money is collected from a group of people and invested. Foreign Institutional Investors (FIIs), Non-Resident Indians (NRIs) and persons of Indian Origin (PIOs) invest in securities in primary and secondary markets in shares, bonds, commodities, currencies etc. With a minimum investment limit: The investors are high net worth individuals. Exclusively favoring the crème de la crème, the usual minimum investment amount is US$ 1, 000,000/ USD 1 million. Returns through use of high-risk techniques and strategies: Hedge funds prefer to remain secluded and untouched by the market environment. Hedge funds seek absolute returns irrespective of how the markets behave. The fluctuations in the market are not to affect the absolute returns aimed at. For this, single or multi high-risk techniques and strategies are adopted to generate the returns. Investment in emerging markets with features such as high inflation, volatile market with signs of future growth. Purely defined by geography, investment may be in equities, bonds or currencies. Short-selling strategy i.e. selling shares without actually owning them with a proposition to buy back at a future date at a price lower than selling price - all with an expectation that the share price will drop. Adopting arbitrage strategy such as statistical arb, merger arb, fixed-income arb, capital structure arb, volatility arb and CB arb are the most well-known hedge fund arbitrage strategies. Event driven situation strategy is adopted when mergers, hostile takeovers, reorganizations, bankruptcies or leveraged buy outs happen irrespective of market situation. The strategy involves buying stock in company being acquired and simultaneously selling the stock in the acquirer company. Leverage strategy is by means of using borrowed funds at a fixed rate of interest and investing to earn a greater rate of of return than the cost of interest. The borrowed funds are to supplement existing funds. The investor hopes that the returns will exceed borrowing costs. Distressed security buying strategy which involves buying equity, debt at deep discounts of companies in distress. These are companies on the verge of entering a financial distress or about to exit or trying to avoid bankruptcy. If the company reorganizes and performs well, the positive returns benefit the hedge fund investor. Multi-strategy approach which involves deploying various strategies simultaneously for long-term or short-term results. Same sector investment strategy, investing in long or short term equities of the same sector in the markets. Selection is based on various factors such as the sector, term of investment, growth or changes expected etc. Financial experts opine that India has tremendous potential for attracting global investments in hedge funds. The early entrants into the Indian markets have recorded encouraging returns which in turn attracted other hedge fund players to step in. Renaissance Technologies, Vikram Pandit-founded Old Lane, DE Shaw, Och-Ziff Capital Management are some reputed international hedge funds firms in India. Here is a list of hedge funds operating in India. Inception date: The date on which the fund starts trading. Investment manager: The prospectus ought to provide details about the investment manager whether an individual or a group of persons who would oversee investment strategies. The investment manager may also play the roles of fund manager, investment advisor or sponsor. Investment manager provides clarification to the investor on any matter related to hedge fund investment. Fund administrator: Primarily responsible for processing investor's subscriptions and redemption, the fund administrator calculates the value of investor's holding too. Fund administrator may be an individual or a group of persons. Custodian: The financial entity that holds hedge fund assets. This includes cash in the fund as well as securities. Prime broker: There can be overlapping of roles and responsibilities with fund administrators. But prime brokers bring in investment and operational perspective to hedge funds. Prime brokers help fund manager or investment manager to decide on allocation of investment funds to different brokers. Transaction broker: All investment activities are executed through the transaction broker. Subscription amount is paid to the custodian. Custodian confirms receipt of payment to fund administrator. Fund administrator instructs issue of share to investor. Fund administrator issues reports on hedge fund performance. Investment manager instructs custodian to move funds to prime broker for investment in market. During the process the prime broker and custodian are in direct contact with fund administrator. Identify potential hedge funds, refer commercial directories or databases. Account for your investment goals, risk tolerance level, amount allocated for investment. Get to understand the ground realities of regulatory factors, its implications; how business is run in India all helps. 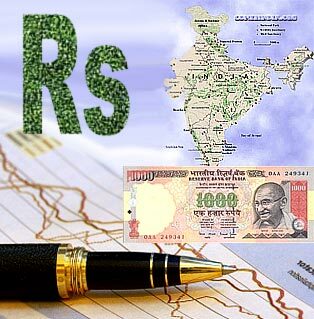 Read blogs, financial magazines, websites, news articles, white papers on hedge funds in India. Talk to personnel; preferably interact with hedge fund managers involved with hedge fund investments and those who have already invested in hedge funds. Notice annual events like Hedge funds world India to gain an assessment of the burgeoning Indian hedge fund industry. Approach wealth manager in wealth management companies, securities broker or licensed investment consultant for advice on hedge fund investments in India. Understand terms related to hedge funds, remittance, management fee and performance fee, withdrawal and redemption fees. Check the pros and cons of long-term hedge funds vs. short-term hedge funds. Ensure your activities are that of an accredited investor (with a net worth of more than $1 million). Involve financial advisor in the process of investing in hedge funds in India. Maintain direct communication with hedge fund manager. Check if diverse hedge fund strategies and techniques are put to use. Receive and file monthly or quarterly updates. Engage in data mining, keep track of trends. Check with accountant with regard to tax reporting and implications. Know your rights, where to seek help in terms of a dissatisfied hedge fund investment operation, or any other complaint in general that doesn't confirm with regulations.